I walked my nine acres of unproductive farm-ground in hunt for the only thing my property produces in abundance – gophers. The rains of March have cleared my land of snow and sapped the frost out of the ground. As green sprouts begin to push out toward the surface, other monuments to spring have been appearing across my acreage – the miserable gopher mounds. 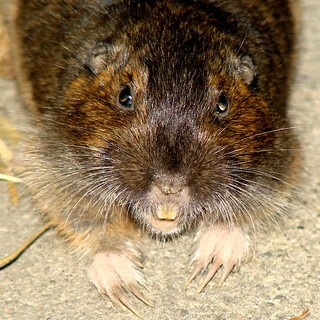 I have a gopher problem substantiated by last year’s trap total of 126 gophers. I have written about my hate of gophers before (Trapped Like a Miserable Gopher).